Design patterns & .NET: Refactoring to Decorator design pattern. Refactoring to Decorator design pattern. There was post about it (decorator-design-pattern), but lets do it better. First of all i wish do it w/o using Design patterns, but using usual OOP principles. So, i am a AM General company, witch making Hummer H1 army cars. Very simple. I just need remember how much kg in Hummer H1 when i do weight calculations and description of Hummer H1 when i return descriptions. But it does not gonna be changed FOR A NOW. We sell very well cars to US army and do a lot of money. After some time we get some new requirement. Texas state wish extra accumulator, because of Texas rangers like to play country music all the night in Hummer. Of course, we violate Open close principle, but for a now it is all changes. 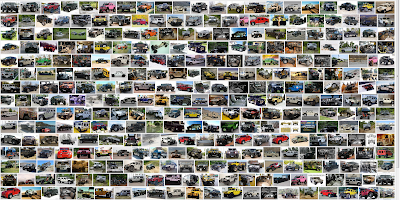 After 3 month France army wish buy 10000 Hummers, equipped with extra accumulator and strong lights. OK... it is a lot of money! Looks no bad. But we need remember H1 weight, accumulator weight, lights weight. After 2 weeks H1 weight changed, accumulator weight changed but lights weight do not. After month some country wish buy H1 + armor. After 2 months other country wish H1 + Lights+ armor. I quit! No more! I started take anti-anxiety medication and it helps me. 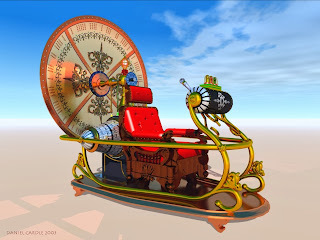 But, fortunately i find time-machine !!!! And i go back in the time to learn patterns and change H1 project! From http://www.dofactory.com i read: "Decorators provide a flexible alternative to subclassing for extending functionality". It is exactly what i need! Change behaviour of object on the fly! After 2 hours of programming i got it! And using... We use it like build cabbage in our self: adding layer by layer, layer by layer. Moreover, i do not need care about changes in weight of other parts! If, for example, weight of accumulator changed, it not influence on other classes!!! All decorators are phlegmatic to each other!! !